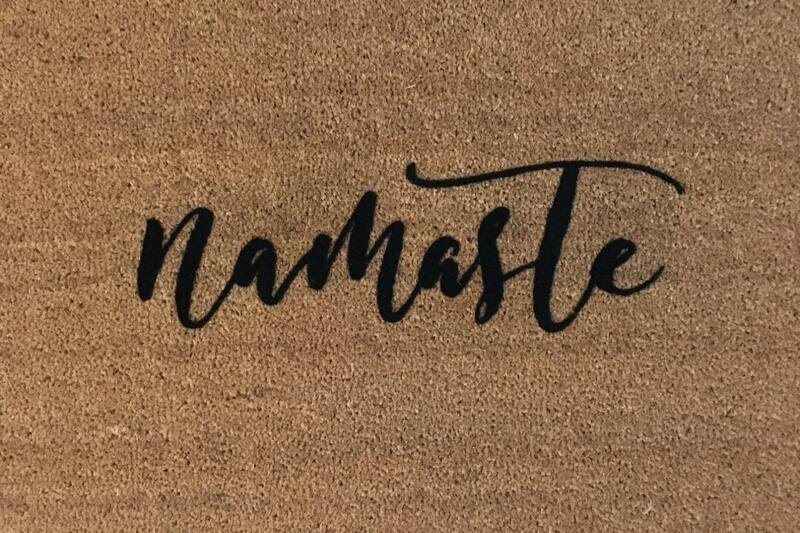 Namaste is an ancient greeting still used today in India. A rough translation of the word is "The Spirit within me salutes the Spirit in you". 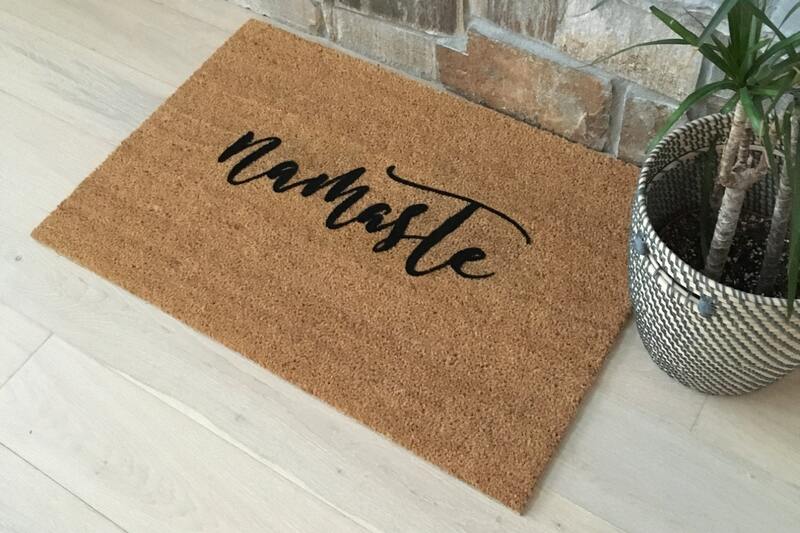 In America we often will hear this greeting exchanged as one enters or leaves an instructed yoga class. 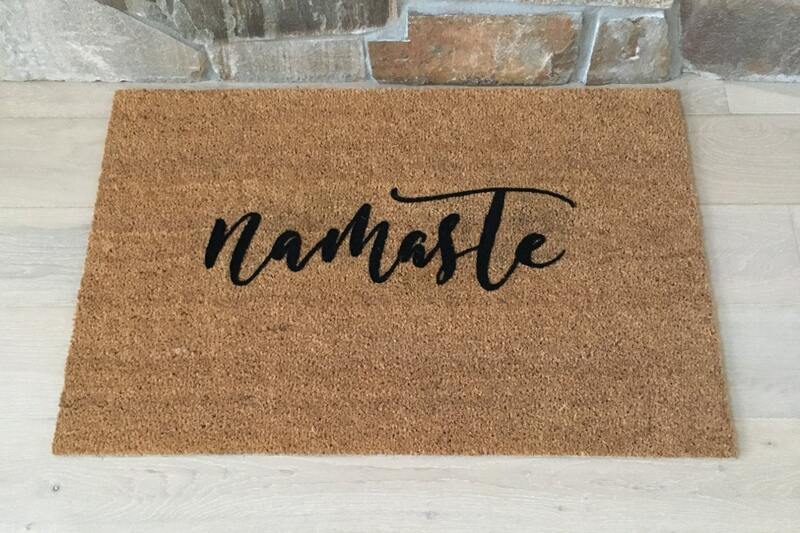 This door mat makes a wonderful gift for all the yoga lovers in your life! Welcome your guests and share your love for yoga all at the same time. 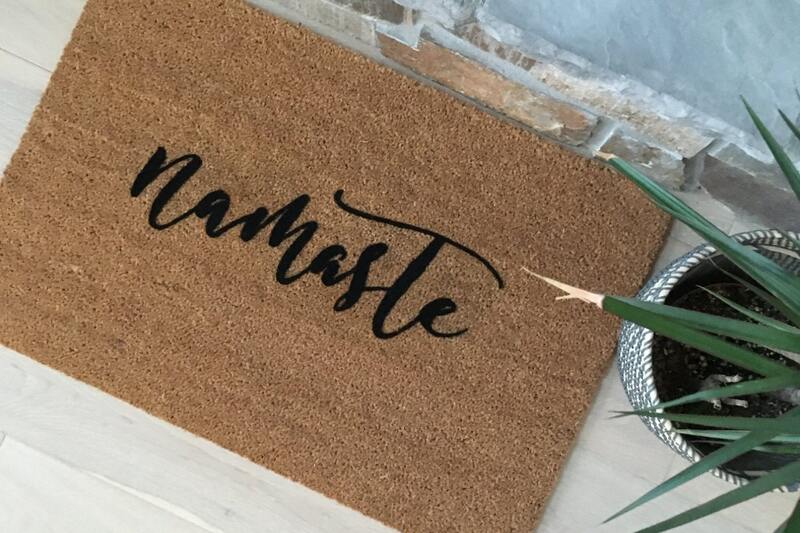 Our 'Namaste' doormat is beautifully and thoughtfully designed keeping all you yoga lovers in mind! 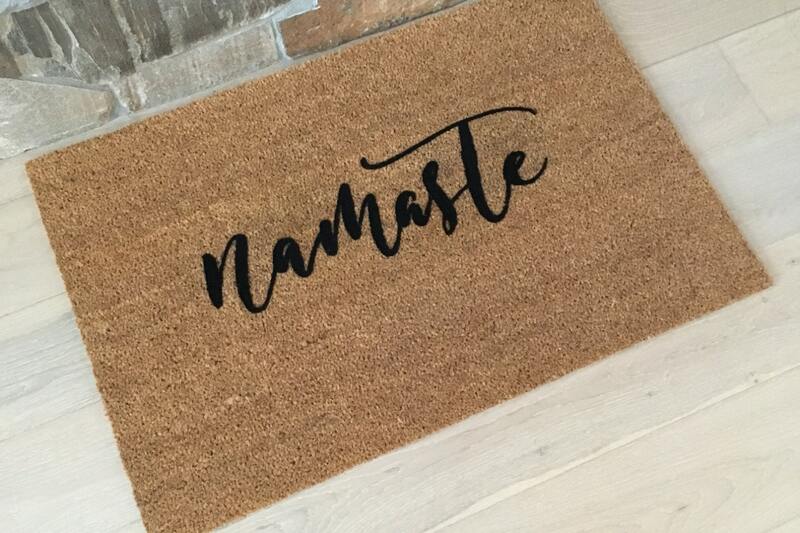 Just add the selected quantity of our 'Namaste' doormat to your cart. It's really that easy!